This week’s clip is a choice moment from Radio Resistance on Off the Hour (May 31st). Host Steve Duvalsaint talks with activist Wagner Pierre in Haiti about Haitian solidarity with the Quebec student strike. From Haiti to Quebec - solidarity! 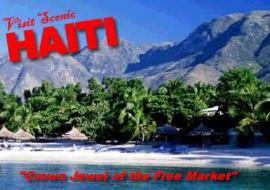 Radio Resistanz - Grassroots news and views on Haiti - airs on the last Thursday ofevery month from 5-6pm on CKUT.